The Pirastro 342400 Double Bass F# String offers a clear projection to the orchestral musician. The high tensile rope core is made from carbon steel for a clear sound with strong presence. The chrome steel winding adds brightness to your tone, as well as having a comfortable feel. The medium string gauge is designed for the solo player, meaning it?s slightly lighter with more high frequencies. The instant playability and stability means the Flat-Chromesteel series are ideal for gigging musicians. This F# string features a ball tailpiece end and is designed for 3/4 size double basses. 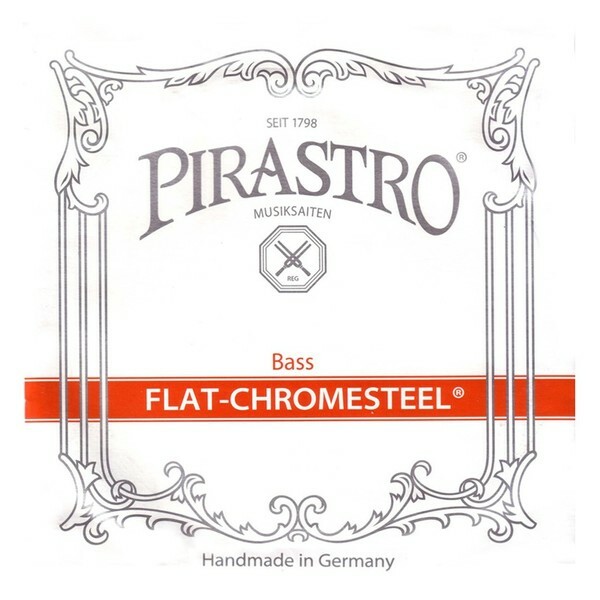 The Flat-Chromesteel string series offers musicians a reliable sound. The carbon steel rope has a dynamic sound with a blend of overtones. The rope is also useful for producing a loud projection that is clear in studio and live settings. 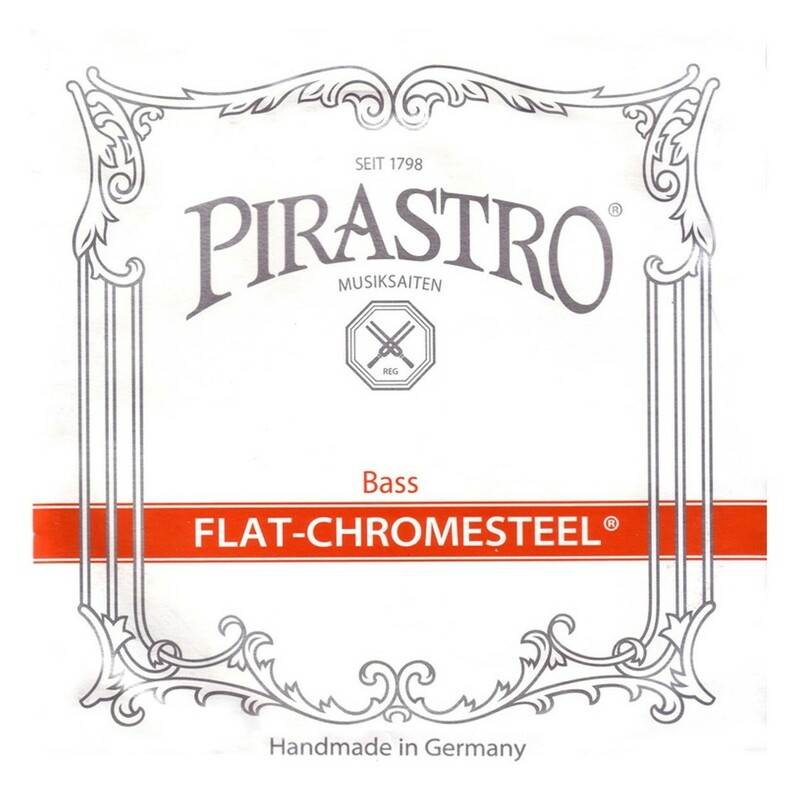 The instant playability and tuning stability make the Flat-Chromesteel strings ideal for gigging musicians who need reliability. The strings have a quick, balanced response, which can be utilised by players who require a composed sound.